Sage ERP MAS 90 and 200 5.0 will contain a new integration with Sage Exchange. Sage Payment Solutions created this integration to streamline credit card processing across the entire Sage product portfolio. As part of this implementation, credit card numbers will no longer be stored within Sage ERP MAS 90 and 200. Instead they will be stored in the Sage Exchange Vault. 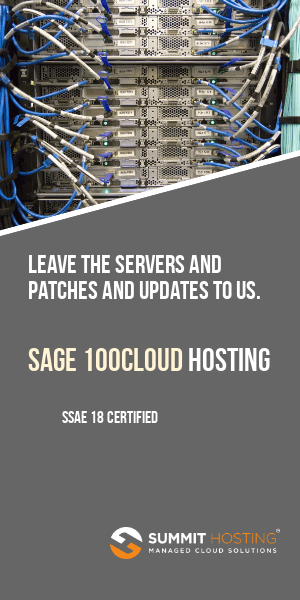 With the introduction of Sage Exchange in Version 5.0, the integration to PC Charge Payment Server will no longer function because it requires that credit card numbers be stored within the ERP system. Sage Payment Solutions will be the only supported credit card processor for the Sage ERP MAS 90 and 200 product line. Effective November 1, 2011, Sage will no longer offer the Credit Card Processing powered by PC Charge Payment Server module for new customer sales. For existing customers who wish to continue using PC Charge until their existing credit card processing provider contract expires, supported versions of Sage ERP MAS 90 and 200 will continue to work with PC Charge. This includes version 4.5. PC Charge version 5.9.3 will be the last version tested by Sage for compatibility with Sage ERP MAS 90 and 200. While subsequent versions of PC Charge may continue to work, they will not be validated as compatible by Sage. Telephone support only: $139 annual fee. If this plan is selected, there is a $120 fee per upgrade for any subsequent releases of PC Charge. Customers should contact Lela Reeves at VeriFone by telephone at: 912-527-4576 or by email at: Lela_Reeves@verifone.com to renew their PC Charge support agreement if necessary. Sage will discontinue telephone support for all versions of the Credit Card Processing powered by PC Charge Payment Server module as of December 31, 2012. Until then, Sage will continue to provide telephone support for the Credit Card Processing powered by PC Charge module, while VeriFone must be contacted for any support for the PC Charge Payment Server application. Requests for assistance will be replied to within 4 business hours.